One of the perks of interning for an adventure travel company is the opportunity to get out there and do really cool tours around this gorgeous country of ours. In November, we sent our lovely graphic design intern, Maartje, who hails from the Netherlands, up north to check out Paihia and the Bay of Islands on a Stray Patch pass. After a long rainy spring, the sun finally came out just in time for my tour north of Auckland to the Bay of Islands. I couldn’t wait to check out the beaches and water activities I’d heard so much about from my friends and co-workers. From my base in Paihia, I headed out to explore some of the wonderful things Northland has to offer. 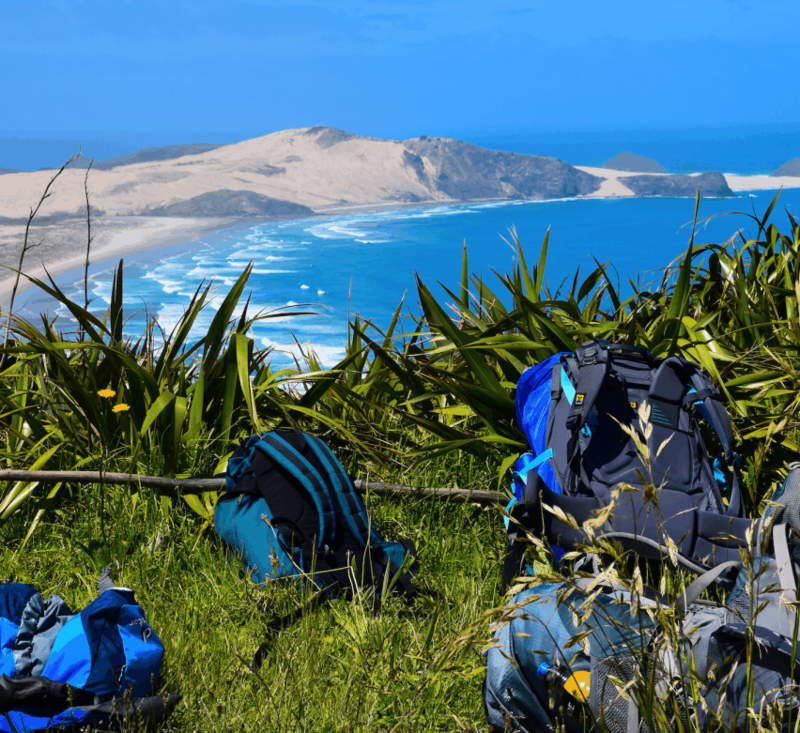 The highlights of my trip were an eco-cruise around the Bay of Islands and a day trip to Cape Reinga, the northern tip of New Zealand. Rather than a wordy essay I thought I would share 10 photos from my tour to show you why the Bay of Islands is worth a visit during summer (although I hear it’s pretty nice all year round). 1. Picnic lunches in the warm sunshine with breathtaking seaside views. 2. 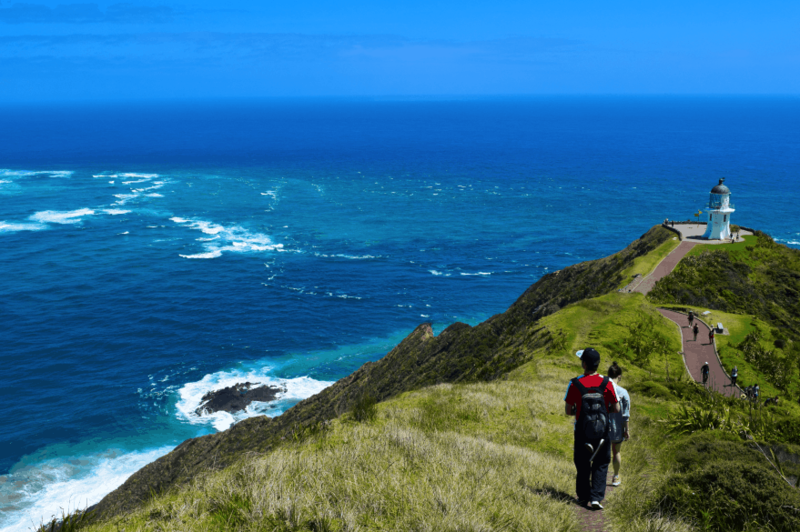 Take a day trip from Paihia to Cape Reinga, the northernmost point of New Zealand, to watch two oceans collide! 4. 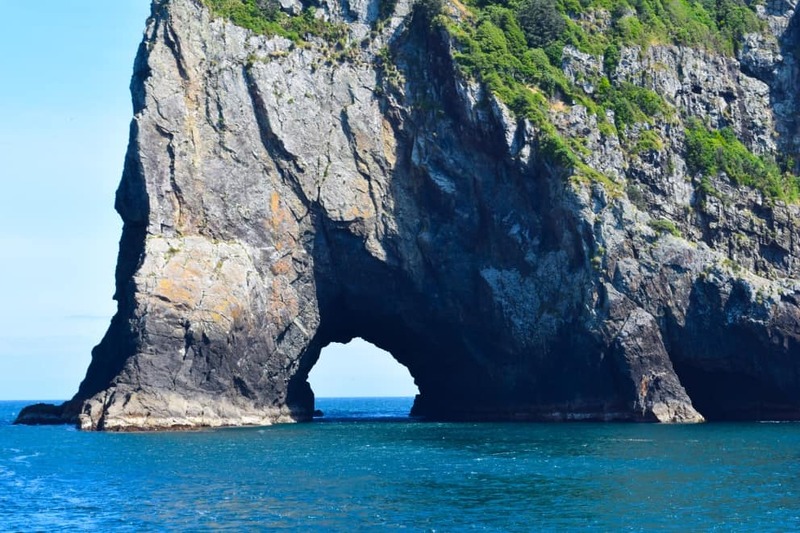 …and sail by the infamous ‘Hole in the Rock’, a must-see for visitors and locals alike. 5. 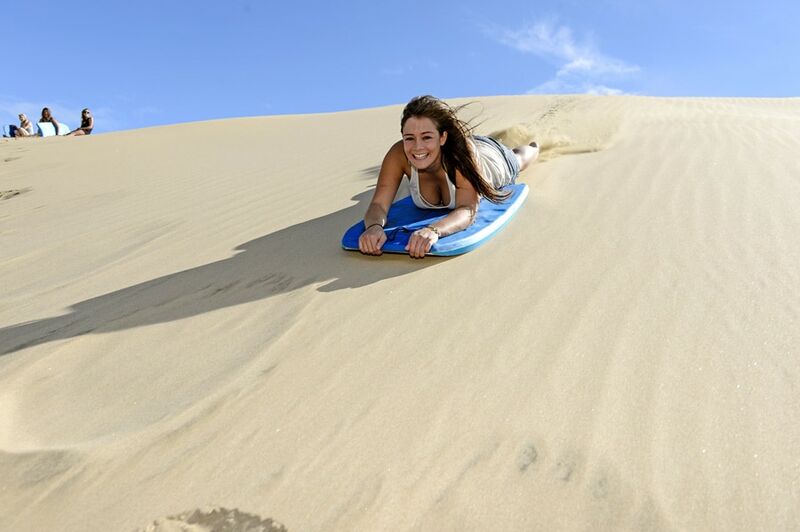 Surf the MASSIVE sand dunes near 90 Mile Beach. 6. 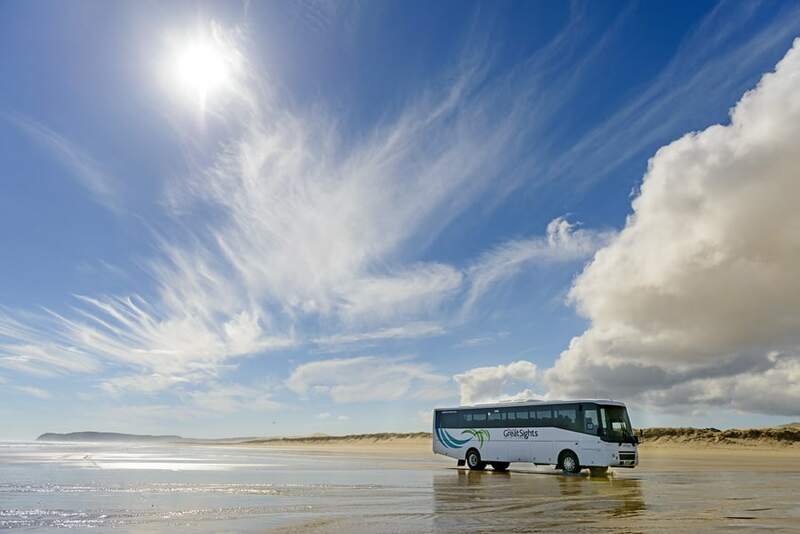 Drive by bus on 90 Mile Beach at 100km/h – New Zealanders consider it a road! 8. 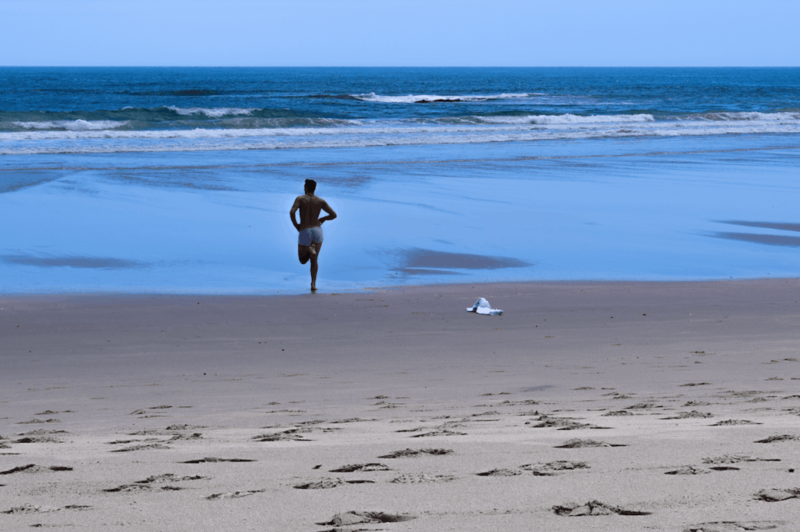 …and discover secluded beaches while you’re doing it! 9. 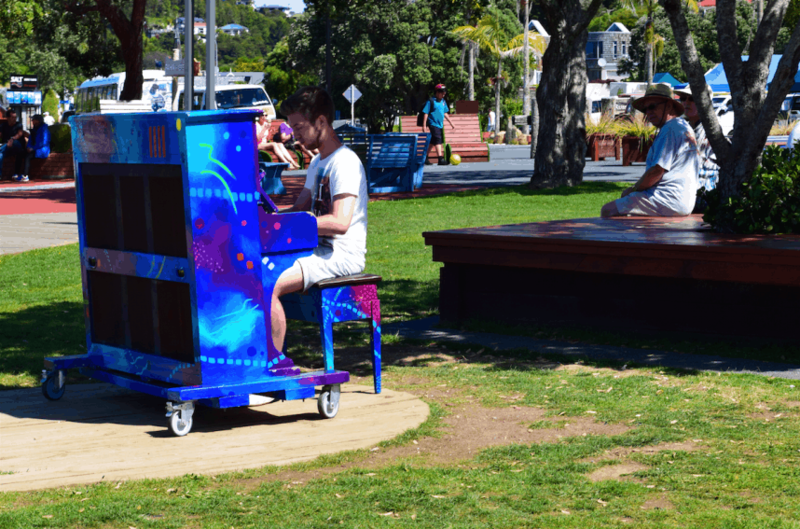 Experience the quirky charms of small town New Zealand in Paihia and maybe play a tune in the park! …and for the guys too! Want more? 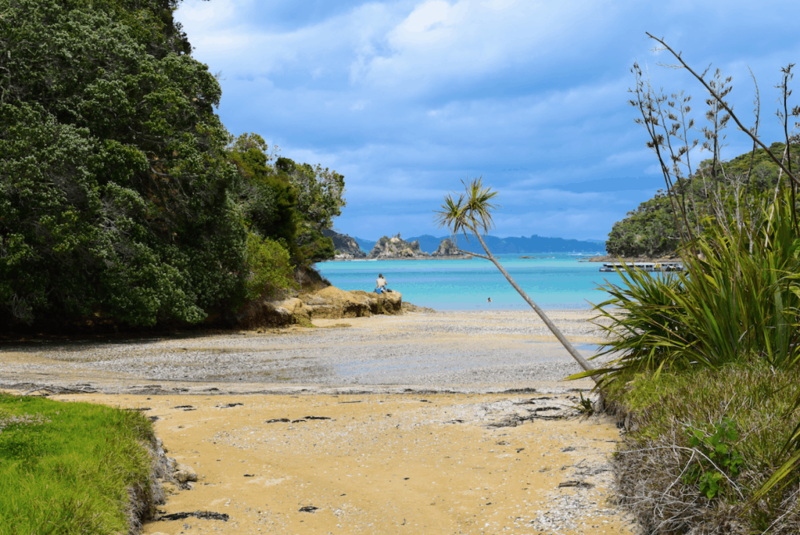 Check out the Paihia (Bay of Islands) Destination Guide. 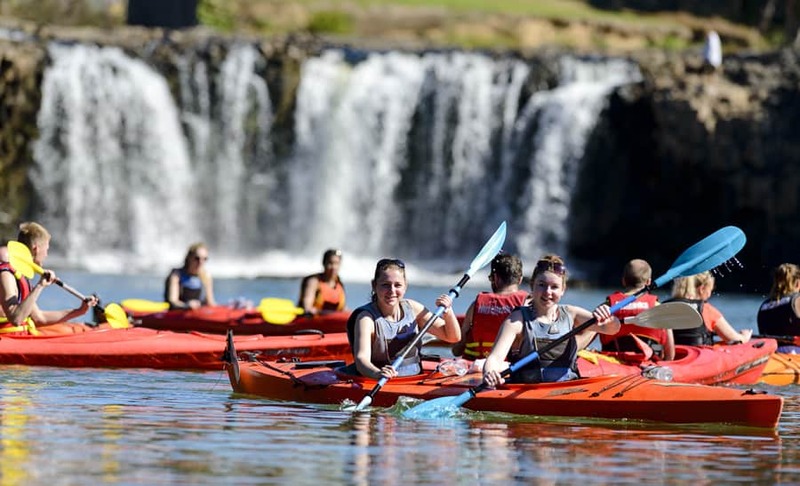 Bay of Island’s is one of the North Island’s most fantastic destinations! The beauty of the perfect, sandy beaches and the glistening turquoise water alongside them was awe-inspiring. 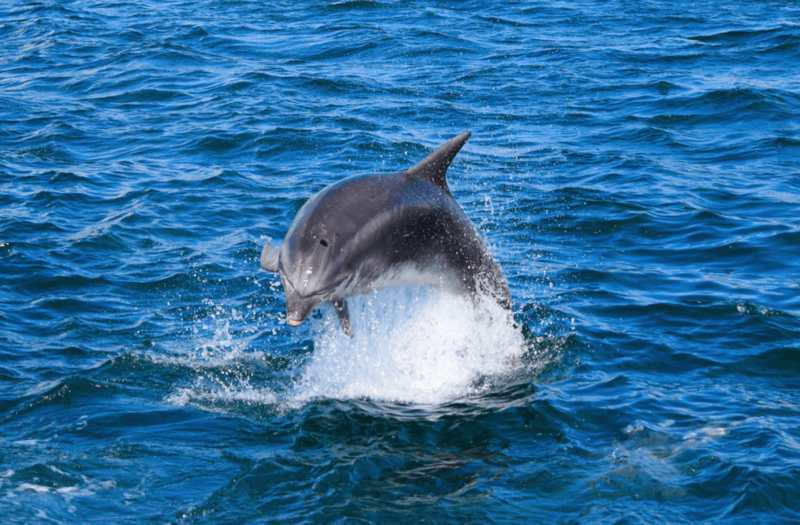 I had such an amazing time touring the Bay of Islands on a catamaran and I even had the chance to swim with the dolphins that surfaced beside the vessel. It’s these reasons, and much more, that put Bay of Islands in my list of the Top 10 Things to do on the North Island of New Zealand.